Mandrills are one of my favourite animals to see when I visit the zoo. The young ones are very acrobatic and entertaining to watch. Mandrills are the largest monkeys in the world, with males growing up to 80cm tall. The males are very colourful, with red, white and blue on their face, a yellow beard, long sharp fangs and a brightly coloured backside. Female mandrills have a bright red and swollen backside during mating season. Mandrills live in large groups of up to 600-800 animals. They live in Western Africa, in the countries of Gabon, Cameroon, Equitorial Guinea and Congo. 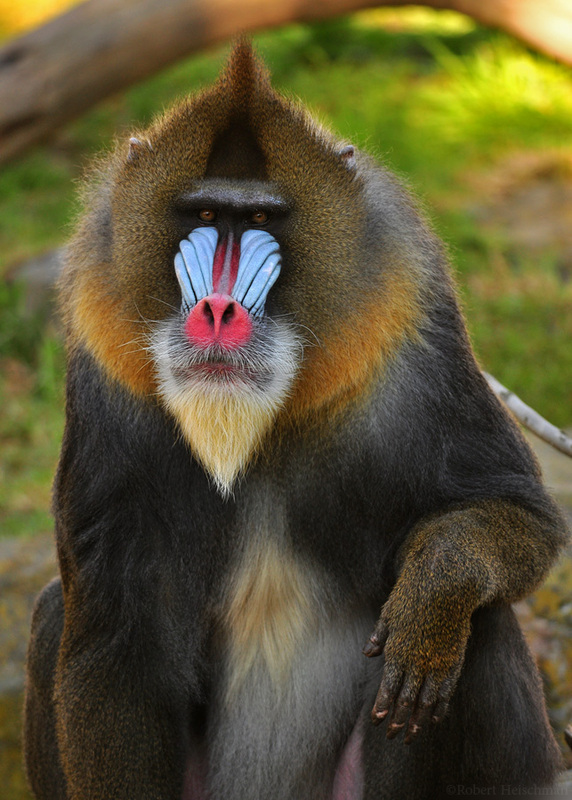 Are there any other interesting facts that you would like to share about mandrills?